Why Are Foods Different Colors, Is There a Benefit? August 6, 2011 August 9, 2011 Wallace Bishop I.N.H.C, C.N.C. Every Food Color Has Different Antioxidants, Eat All the Colors!! Why did God create our foods to have different colors? Do you ever think, why are tomatoes red or yellow? Is there something about the color that makes the food special? Yes, the colors do mean something. The different colors identify certain phytonutrients the vegetable or fruit may contain. Their role in plants is to protect plants from disease, injuries, insects, drought, excessive heat, ultraviolet rays, and poisons or pollutants in the air or soil. They form part of the plants immune system. When we eat the plant we get the protective benefits of the plant immune system, also. Scientists do not consider phytonutrients as essential for health although they do provide health building properties. Phytonutrients are essential for optimal health. This means you can live without them, however, your level of health and ability to resist illness or diseases is not at its highest. Phyonutrients are a different class of nutrient. They are not vitamins, minerals, fats, proteins or carbohydrates. Although some Vitamins and Minerals do act as powerful antioxidants, phytonutrients are different and act as antioxidants, providing protection for our bodies in many ways. 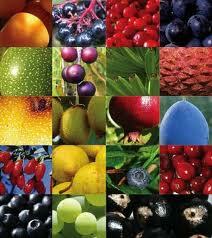 Antioxidants help prevent aging by protecting our bodies from free radicals. Free radicals damage cell structure and can even damage cellular DNA leading to mutations which may cause cancers and other diseases. If you are an athlete, sick or have a lot of stress in your life, you need greater quantities of antioxidants. These colorful foods also provide a wide assortment of vitamins, minerals, enzymes, fiber, protein, complex carbohydrates, antioxidants and fatty acids. Although low in calories they pack a real nutritional punch feeding your body healing and renewing nutrients. A carpenter can’t build a house without lumber and nails. You can’t build and support a healthy body without the bodies building materials, nutrients. You can build a body out of junk food, however its going to be a junk body that most likely will suffer from many nagging ailments such as; chronic pains, aches, digestive problems, high blood pressure, high cholesterol, blood sugar imbalances, infections, hormonal imbalances, anxiety, depression, mental fog, low energy, fatigue, poor mood, poor memory and eventually disease. What Antioxidants Are Which Color? Contain nutrients such as lycopene, ellagic acid, Quercetin, and Hesperidin, to name a few. These nutrients reduce the risk of prostate cancer, lower blood pressure, reduce tumor growth and LDL cholesterol levels, scavenge harmful free-radicals, and support joint tissue in arthritis cases. I love tomatoes but I also love apples, cherries, strawberries, raspberries, red grapes, cranberries, pomegranates, red currents, red bell pepper and cayenne peppers. Contain nutrients which include lutein, zeaxanthin, resveratrol, vitamin C, fiber, flavonoids, ellagic acid, and quercetin. Similar to the previous nutrients, these nutrients support retinal health, lower LDL cholesterol, boost immune system activity, support healthy digestion, improve calcium and other mineral absorption, fight inflammation, reduce tumor growth, act as an anticarcinogens in the digestive tract, and limit the activity of cancer cells. Certainly blueberries are a favorite of many but also try, purple or black grapes, black berries, black currants, eggplant, purple cabbage, purple onions, purple carrots and purple asparagus. Contain beta-carotene, zeaxanthin, flavonoids, lycopene, potassium, and vitamin C. These nutrients reduce age-related macula degeneration and the risk of prostate cancer, lower LDL cholesterol and blood pressure, promote collagen formation and healthy joints, fight harmful free radicals, encourage alkaline balance, and work with magnesium and calcium to build healthy bones. Common orange and yellow foods are pumpkin, butternut squash, sweet potato, spaghetti squash, oranges, papaya, carrots (carrots can also be found in yellow, and purple) and salmon. Yes, wild caught salmon is rich in beta carotene, that’s why it is bright orange. Farm raised salmon is not nearly as rich in beta carotene and is not as healthy of a choice as wild caught. Green vegetables contain chlorophyll, fiber, lutein, zeaxanthin, calcium, folate, vitamin C, calcium, and Beta-carotene. The nutrients found in these vegetables reduce cancer risks, lower blood pressure and LDL cholesterol levels, normalize digestion time, support retinal health and vision, fight harmful free-radicals, and boost immune system activity. A few green foods you may recognize are avocado, broccoli, spinach, kale, chard, asparagas, cabbage, zucchini, cucumbers, kiwi, limes, romaine, endive, celery, collard greens and brussel sprouts. Contain nutrients such as beta-glucans, EGCG, SDG, and lignans that provide powerful immune boosting activity. These nutrients also activate natural killer B and T cells, reduce the risk of colon, breast, and prostate cancers, and balance hormone levels, reducing the risk of hormone-related cancers. Think bananas, mushrooms, radishes, turnips, potatoes, onions, garlic, shallots, leeks and cauliflower. 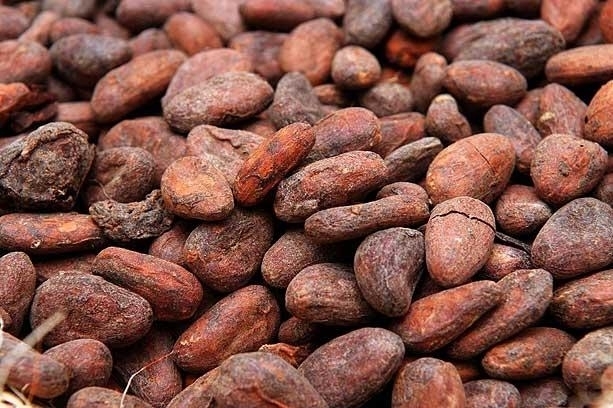 Brown foods such as chocolate (dark only is best), beans, nuts and seeds provide many different types of phytonutrients such as epicatechin, ellagic acid, isoflavones, resveratrol and many more. Pecans have the highest antioxidant rating of the nut and seed family. Raw cocao (chocolate) has the highest antioxidant rating of any food. Try dark chocolate that is 85% dark or higher, black beans, red beans, pinto beans, lentils, almonds, flax seed (must be ground), walnuts, pecans, peanuts, pumpkin seeds and sunflower seeds. Eat the rainbow everyday if possible. It’s easy if you make a salad. I have a salad almost every day and it is loaded with every color. Making the food rainbow a part of your daily life is going make you and your body happy and healthy!! Children need 5 servings of fruits and vegetables every day, women need 7 and men need 9. Please eat your daily requirement of vegetables, fruits, beans, nuts and seeds. Previous Post Do You Have Chronic Inflammation? Prevent It!